In this MPC & Pro Tools tutorial taken from my book, ‘Using the Akai MPC With Pro Tools‘, I’ll be explaining how to set up your MPC as a fully recognised MIDI device within Pro Tools. 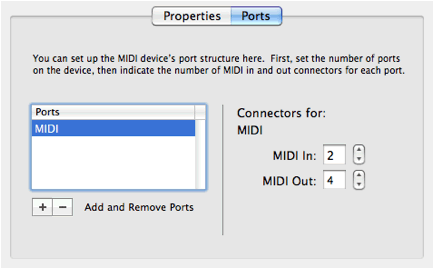 This will mean that each MIDI trackyou set up in Pro Tools will be able to display the exact MIDI port and channel your Pro Tools track is connected to. Pro Tools is a little different to some DAWs as it doesn’t directly recognise your MIDI interface or MIDI control devices. Instead it relies on your computer’s own built-in MIDI software utility to deal with the set up and configuration of MIDI devices, and in turn, Pro Tools communicates directly with that utility. 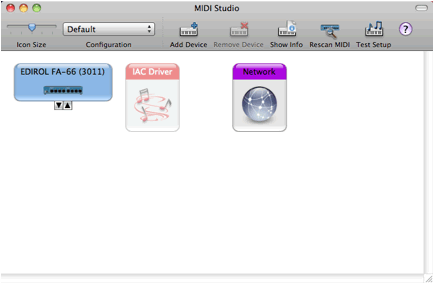 The utility in question is ‘MIDI Studio’ and is accessed from within Pro Tools via ‘Setup > MIDI > MIDI Studio’. This application is completely different in PC and Mac, with the PC version being much more stripped down and basic. 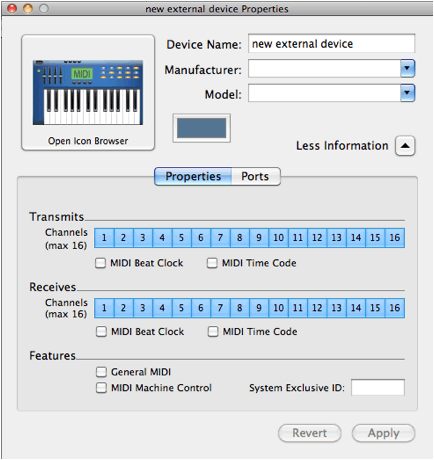 However, both applications serve similar purposes; first, they should detect any MIDI interfaces connected to your computer, and secondly they allow your computer to recognise MIDI devices connected to that interface, which in this book will be your MPC. It’s important to note that the only essential element here is that MIDI Studio recognises your MIDI interface – if it doesn’t recognise that interface, then Pro Tools will not be able to use MIDI! The above is telling us that this track is receiving MIDI on MIDI track 1 through connection ‘1’ on the Edirol FA66 ‘MIDI IN’ port. That’s fine – if you wish to leave it at that if you wish, and there’s no need to do anything further in MIDI Studio. So remember, the following is purely optional and not essential but personally I feel it’s worth the extra 15 minutes it takes to set this up, as you only have to do this once – and once set up, your MPC connections will show like this in any audio software on your computer that also utilises your computer’s ‘MIDI Studio’ application. 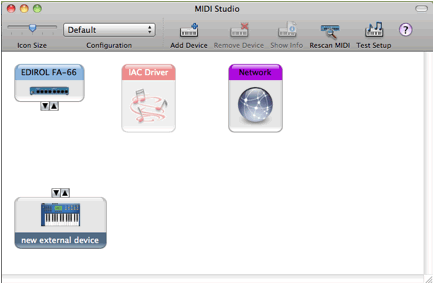 The following instructions are for the Mac, because the PC version of MIDI Studio is more basic compared to the Mac, and does not allow us to assign graphic icons, or draw in virtual MIDI connections to specific MIDI ports. 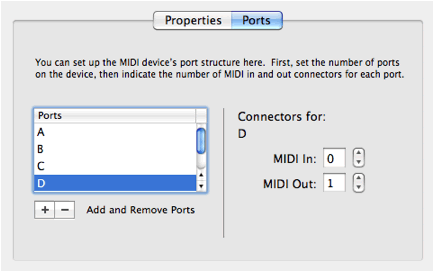 However it will still let us have Pro Tools label MIDI connections as ‘MPC’, so at the end of this section, I’ll briefly run through the PC set up as well, but I recommend PC owners also read this Mac section, as all concepts are identical. 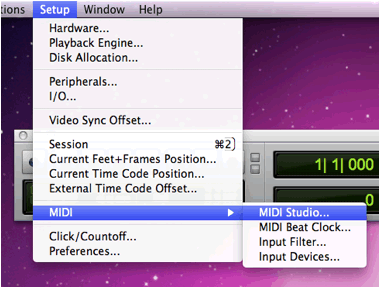 In Pro Tools, go to ‘Setup > MIDI > MIDI Studio’. 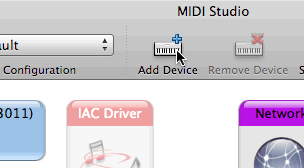 There are two distinct windows in this app; if you can’t see the MIDI page, go to ‘Window > Show MIDI Window’. 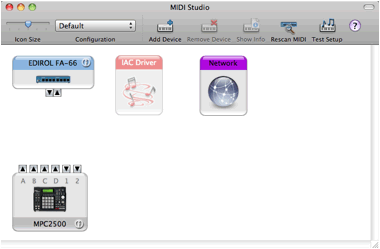 This shows you the MIDI configuration of the interface; in this case, I have just the one MIDI port (called ‘Plug 1’), and that consists of a single ‘MIDI in’ and a single ‘MIDI out’ . Close this window. 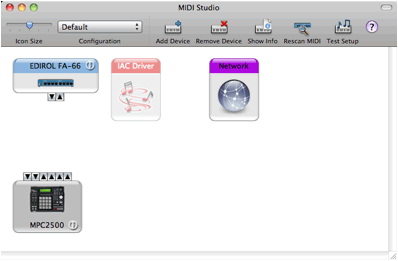 To allow Pro Tools to correctly label which port of our MPC it is communicating with, we first need to ‘Add’ the MPC to the MIDI Studio – once added and correctly configured, we’ll then use MIDI Studio to create a graphical representation of all MIDI connections between our audio/MIDI interface and the MPC, which will be the ‘MIDI Handshake’ set up we described earlier in this book. If you double click this device, we can set it up as our MPC. First, set ‘Manufacturer’ to ‘Akai’. 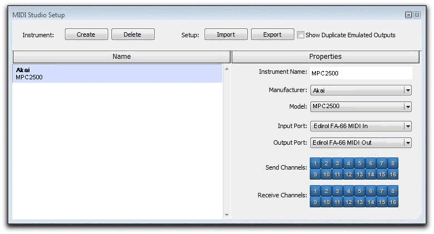 Now under ‘Model’, you have a choice of three different MPCs – there’s nothing newer than an MPC2000, however, all three produce the same default configuration, so just select MPC2000 if your MPC isn’t listed. 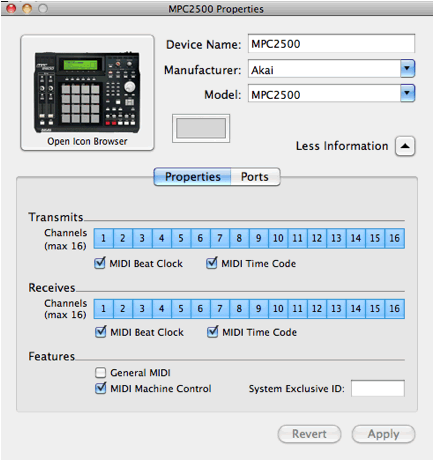 This shows that the MPC2000 transmits and receives both ‘MIDI Beat Clock’ and ‘MIDI Time Code’, all over 16 MIDI Channels. This is all correct for the MPC2000, but isn’t true for all MPCs. Additionally, under ‘Features’ the ‘MIDI Machine Control’ box should be checked, as the MPC2000 does transmit this. 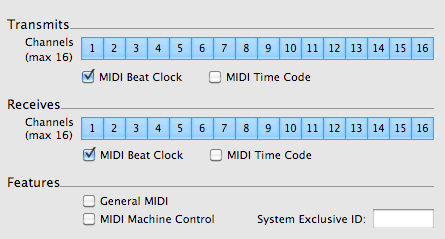 Here you’ll need to inform your Mac just how many MIDI ports your MPC has. There are a number of ways you could set this up -I’ll show you two methods. The easiest way is to simply think of the MPC as having a single MIDI ‘port’ containing all the MIDI Outs and Ins. To do this, we have a single ‘port’ set up in the left column, and in the right hand column, set up the appropriate number of MIDI IN and MIDI OUT for your MPC. In the left hand column, click in ‘Port 1’ and change the name to anything you wish – I changed it to ‘MIDI’. In the right hand column, change ‘MIDI In’ and ‘MIDI Out‘ to reflect the number of MIDI in and Out on your MPC. Here you can see your MPC, with all MIDI ports displayed as black arrows, either pointing away from the MPC (MIDI OUT) or pointing inwards (MIDI IN). Now so far so good, and while this way is perfectly fine, I personally like to have a bit more information about each MIDI port showing in MIDI Studio. Let me quickly show you an alternative way of setting up the MPC MIDI ports that will give us more immediate information on which MIDI ports we have set up with Pro Tools. 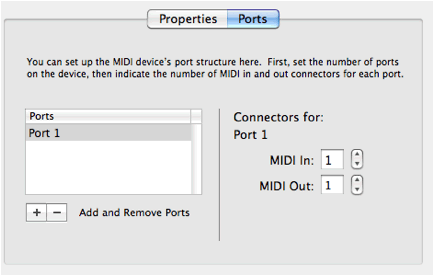 As you can see, the MIDI IN ports are labelled numerically (1 and 2), and the MIDI OUT ports are labelled alphabetically, A, B, C, D.
Now, when I assign an MPC MIDI port to a track in Pro Tools, what I ideally want to show up in that Pro Tools track is a clear indication of which MPC MIDI port I am connecting to that track. So, if it’s MIDI OUT A, I want Pro Tools to specifically list ‘MPC2500 A’. That way, there is no confusion, especially if I am utilising more than one MIDI OUT port on my MPC. The only way to do this is to assign each port individually. To do this, click on ‘Port 1’ in the ‘Ports’ column, and rename is to ‘A’. Now in the ‘Connectors For’ column on the right, assign ‘MIDI In’ as ‘0’, and ‘MIDI OUT’ as ‘1’. Repeat this process for all the MIDI OUT ports on your MPC. 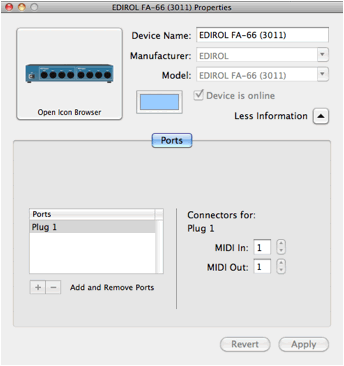 To add each additional port, just click the ‘+’ button to the left of ‘Add and Remove Ports’. We now have a clear representation of the actual MPC MIDI port labelling as seen on the back of the MPC. Now, the last task is to graphically mimic the physical MIDI connections you have made between the MPC and your audio interface – that is, the MIDI ‘handshake’ we discussed earlier in this book. So to recreate our physical MIDI handshake, first click and drag port A on the MPC2500 over to the incoming port on the audio interface and let go – a black line will be created joining the two ports together. This represents the MIDI connection that transmits MIDI from the MPC to Pro Tools. 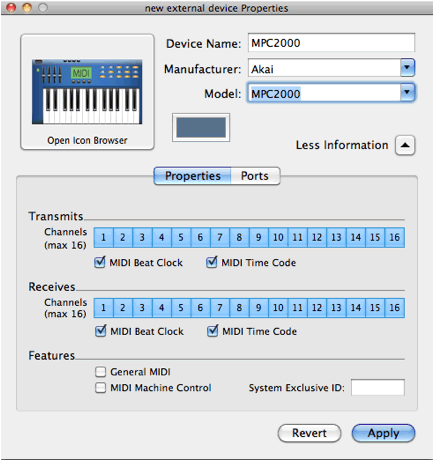 Now click and drag from the remaining MIDI port on your interface to the MPC MIDI port 1. This represents the MIDI connection that sends MIDI data from Pro Tools to your MPC. Now your physical MIDI handshake has been recreated virtually. The PC MIDI Studio is more basic than the Mac. 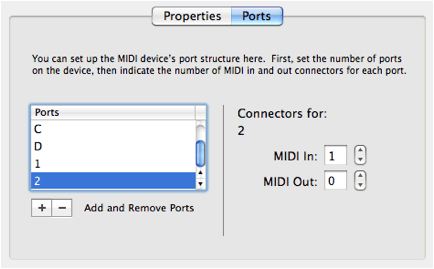 Your MIDI interface should already be listed in the select boxes for ‘Input Port’ and ‘Output Port’. To add your MPC, click ‘Instrument: Create’ and complete the boxes as per the Mac set up, using your MIDI interface as the input and output ports. No fancy icons in this one. I hope this MPC & Pro Tools tutorial has helped you configure your MPCs MIDI ports with Pro Tools 9. In the complete 102 page book, ‘Using the Akai MPC With Pro Tools‘, we’ll be using our MIDI connections to help us use Pro Tools as a sound module for our MPC beats, learning how to sync Pro Tools with the MPC using MIDI Clock and MIDI Time Code, and finally we’ll be tracking both audio and MIDI performances from our MPC into Pro Tools for final mix down of our beat. 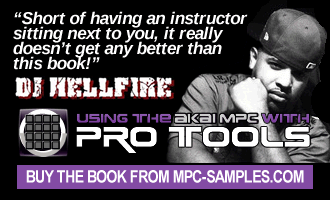 ‘Using the Akai MPC With Pro Tools‘ can be purchased as an instant digital download from my site MPC-Samples.com. To track the midi information from the mpc into pro tools do I have to sync them. Hi, do you have knowledge on how to setup to record MIDI from MPC Essentials with say an Akai MPK Mini, into Pro Tools? I can’t find anything about it anywhere… I’m not an MPC user and would love to be able to do with this with the Mini.